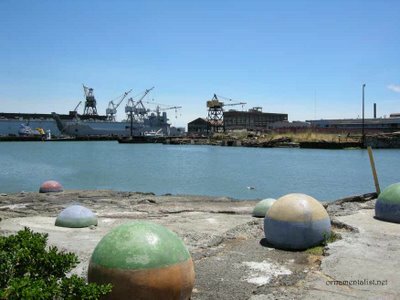 Agua Vista park, with a view of San Francisco's last remaining drydock (near Pier 20) and the recently closed steelworks. A few months ago, I started taking my lunch down the street to a nice little spot called Agua Vista Park, which is just north of my studio in the old American Can warehouse. I've all but ignored this public park for years and years, and often when I walked by its gates were locked. Agua Vista is just next to the Ramp restaurant, which seems to have added a few tables out back to take advantage of this space. Places like these are wonderful finds, and in my neighborhood it tends to be sunny and pleasant near the water quite often. 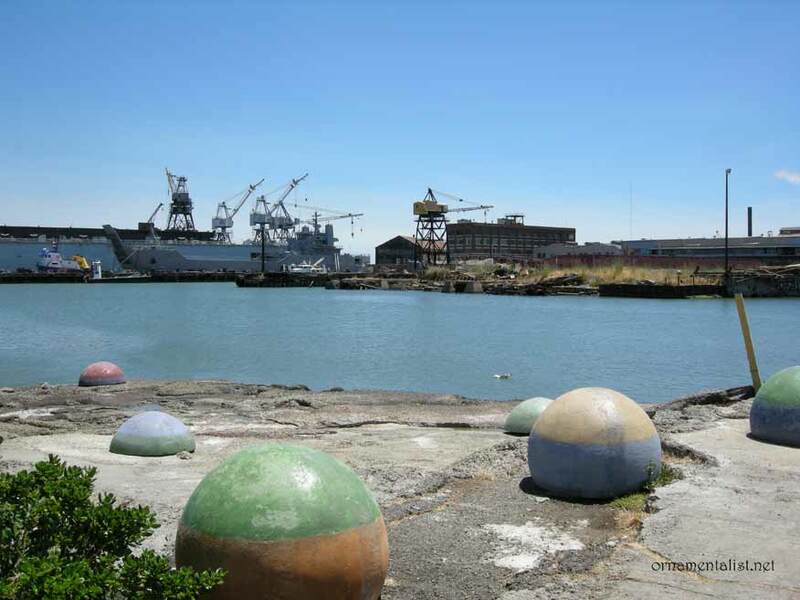 Abandoned cranes, old brick factories, and WWII-era concrete waste, has slowly turned into a haven for birds and the start of tide pools. The gritty, industrial backdrop of these little spots make for an interesting view. I am going to enjoy them while I can.